Sometimes you never know what you’ll find in your own backyard. Growing up in the Midwest, Canada was always the Mecca for catching great fish. The further we could get away from civilization the bigger and better the fishing. There must be some “great white north” fishing ratio of miles-to-pounds – for every 50 miles further north add 2 pounds per fish and 4 fish per day. Even visiting my mother’s family in Upstate New York often included a trip to family cabins in Canada on Crosby Lake. Later, when I was still in high school, my family moved “Upstate” to Canandaigua, New York. The area is generally referred to as the “Finger Lakes” and is well known for producing wine. In autumn, travelers flock in to enjoy the fall colors, spend cool days on wine tours, and some even stick around for the winter skiing nearby. Canandaigua Lake is in fairly close proximity to Rochester, New York and is one of the lakes in the region that is particularly known as a summer resort town, so to speak. Lakefront property values go higher every year and the city is one of the fastest growing in the state. 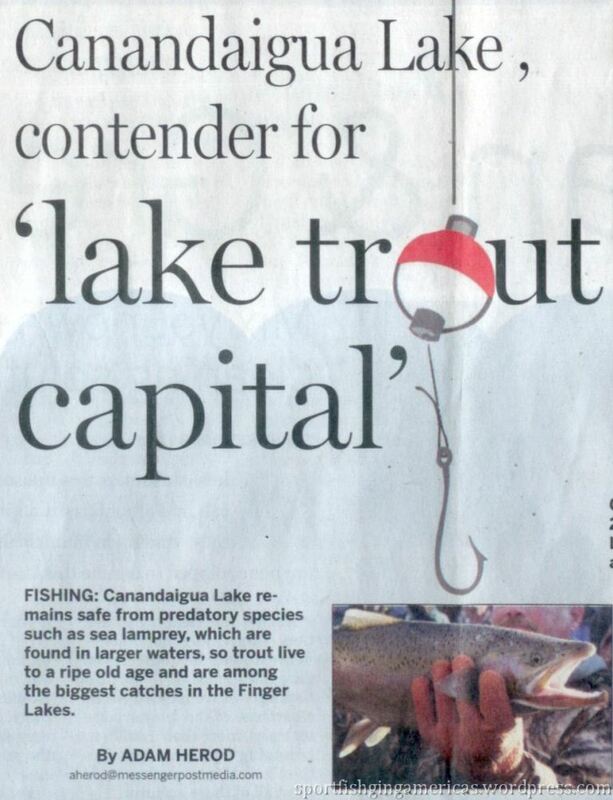 Since Canandaigua Lake was so well known for other lake sports, I never thought of it as a great place to fish. The city is well populated and there are lots of recreational power boats on the lake. It just didn’t square with my idea of a serene and promising lake-of-choice where I could get my fix – the adrenaline rush from a healthy strike. Most of the recreational watercraft spend their time on the northern end of the lake. So from time to time I’d go out on the south end of the lake, but for a serious outing in the region we’d travel a short distance to other nearby lakes. Uncle Dale at 86 – his classic smile. My Uncle Dale (who is now 86) is what I think of as “old school”. He’d make most of his equipment, maintained his own boat motors and even made electric down riggers using automatic-window motors from an old car. I think because he has a sense for how things work, it served him well on the water. He rarely came back without something on the stringer. In July, I traveled back to Canandaigua with my family to visit Uncle Dale and the rest of my family there. 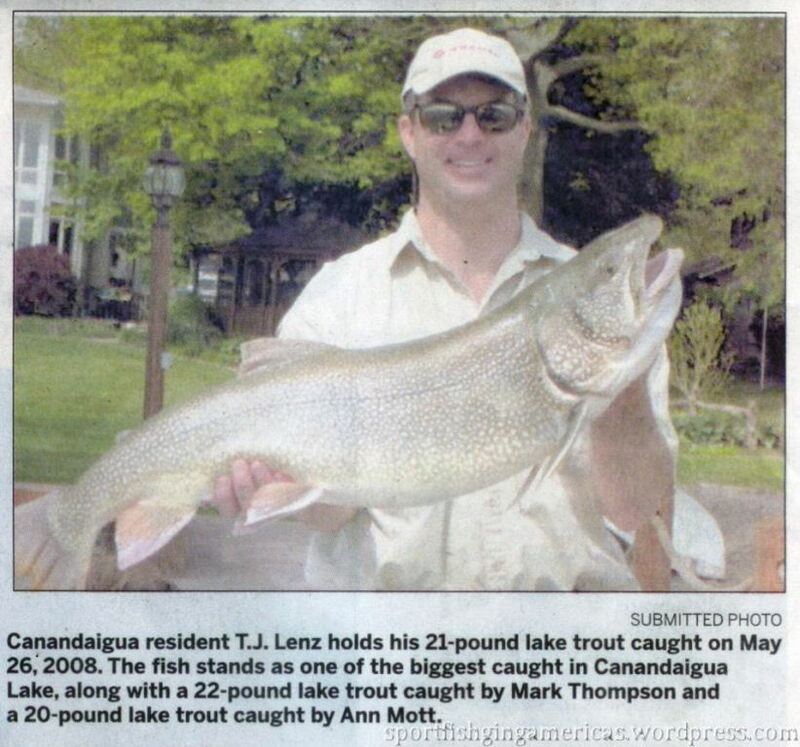 Upon arriving at my father’s house I picked up the local newspaper and was treated to an EYE POPPER… a 21 pound Lake Trout. At the pump house there’s a 90 foot hole at the bottom of the lake – perfect for lake trout because of the depth. So at this point, I’m trying to square things again and decide to do some research. 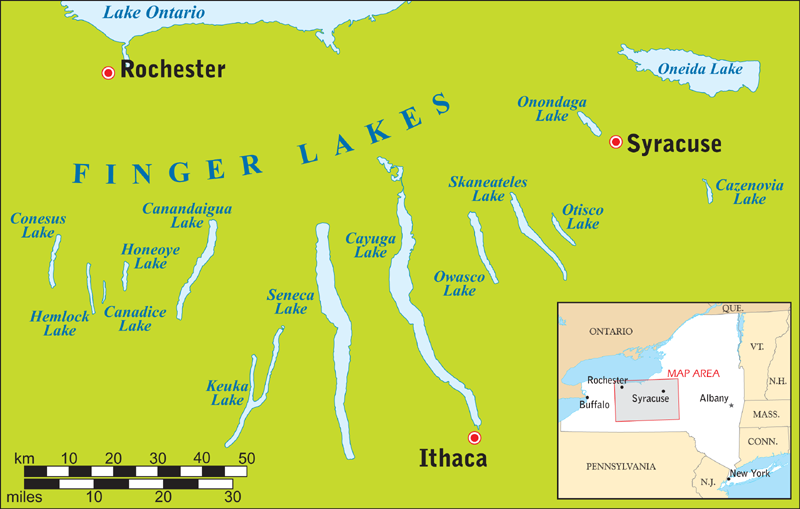 I began by looking through newspaper archives and even found some research done by a student at Hobart and William Smith Colleges (Stephen Dwyer) in 2006 and his analysis of Seneca Lake as the “Lake Trout Capital of the World”. Stephen looked at the effects due to the presence of sea lamprey, zebra and quagga mussels, and smelt on the lake trout population in Seneca Lake, as well as, the New York State Department of Environmental Conservation (NYSDEC) management. 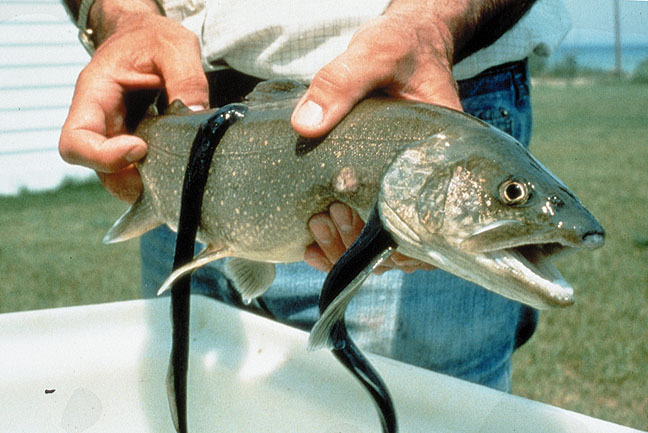 As noted by Stephen’s research, and supported by other articles and local taxidermists, the parasitic life phase of the sea lamprey has detrimental effects on the lake trout population in Seneca Lake. The lamprey is a jaw-less fish introduced to the lake probably through water channels between Ontario Lake and Seneca Lake. They originate from Europe and probably were brought over in the bilge of seafaring vessels launching in the Great Lakes. 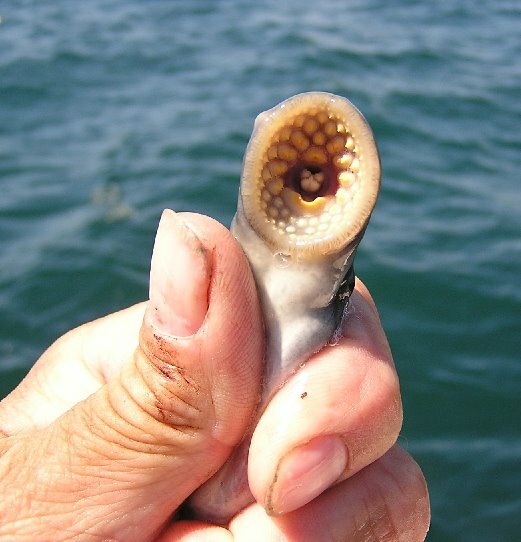 According to the NYSDEC The lamprey attach to a host fish draining it of bodily fluids, killing the fish, thus preventing them from aging and reaching trophy size. It’s interesting, the parallel drawn with appreciating wine. Which brings me back to the original article and a former schoolmate and Canandaigua Brave. ...hey, it could have been me! T.J. was a year or two younger than me. We knew each other enough to recognize each others’ faces and names. We have friends in common, but never were close friends ourselves, probably because when you’re young a couple years difference in age can be a big gap, while it’s negligible later in life. In all seriousness, I’m happy for T.J. A fisherman always deserves his moment of Zen and I’m just glad I can say that this would-be “Lake Trout World Capital” is also my backyard and a place I call home at least once a year.